We make it easy to transfer last year’s tax info. Is Absolute Zero really free? Yes. 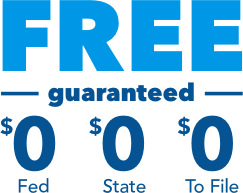 We guarantee you&apos;ll pay absolutely nothing to file your federal (1040EZ/1040A) and state taxes. This is a limited time offer and returns must be filed before the offer ends. Customers will receive an email notice prior to offer end date. How does TurboTax make any money? With Absolute Zero, the power to file for free is all yours! To get started with Absolute Zero simply click File for $0, and you&apos;re on your way! We’ll be there along the way with tax advice and answers when you need them. If you’d like a final review of your return before you file, please know that it’s peak time and our tax experts are busily helping people, which means wait times can be extended up to and past the filing deadline. 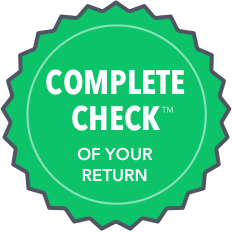 We'll search over 350 tax deductions and credits to find every tax break you qualify for so you get your maximum refund, guaranteed. 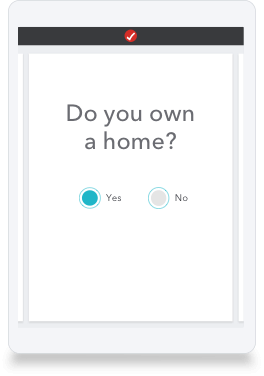 Homeowners get step-by-step guidance to help turn their biggest investment into their biggest tax break. Simplify reporting your investment income with automatic import from thousands of financial institutions. 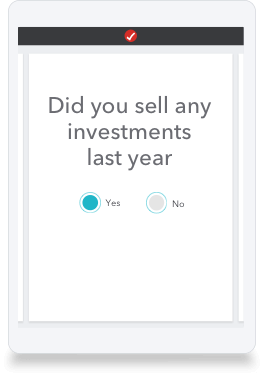 We’ll help you accurately report stocks, calculate capital gains/losses, and find your cost basis. Easily set up new rentals and report depreciation to get your biggest tax deduction. No two people are alike. 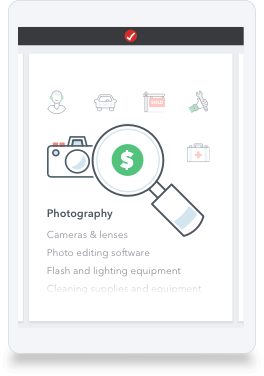 That’s why industry-specific deductions are personalized to your line of work and your unique situation, so you can keep more of the money you earn.Am I self-employed? We've made improvements to Home & Business and renamed it to TurboTax Self-Employed for the best personal and business tax solution available.<br><br>TurboTax Self-Employed is best for independent contractors, consultants, freelancers and small business owners to easily maximize write-offs and business expenses. 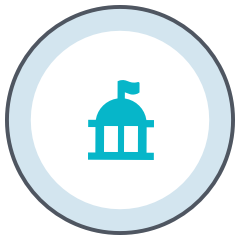 What's included with TurboTax State? Free e-file — With TurboTax State you can e-file your return at no additional cost. 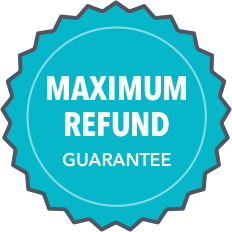 Biggest State Refund, Guaranteed — If you get a larger state refund using another tax preparation method, we'll give you your money back. 100% Accurate Calculations, Guaranteed — We guarantee our calculations are 100% accurate, or we'll pay you any IRS penalties plus interest. Refund Monitor — TurboTax State dynamically displays your tax savings to show how each deduction and credit affects your refund. or we'll pay you any IRS penalties. receive your fastest tax refund possible. receives your efiled tax return. Tax laws have changed for 2018 taxes. affect you by visiting our Tax Reform Center. even if you have no previous tax knowledge. confident your taxes are done right. tax deductions and credits you're eligible for.